Simon and Schuster's nature guide series Gems and Precious Stones. 450 brilliant photographs, 384 pages. 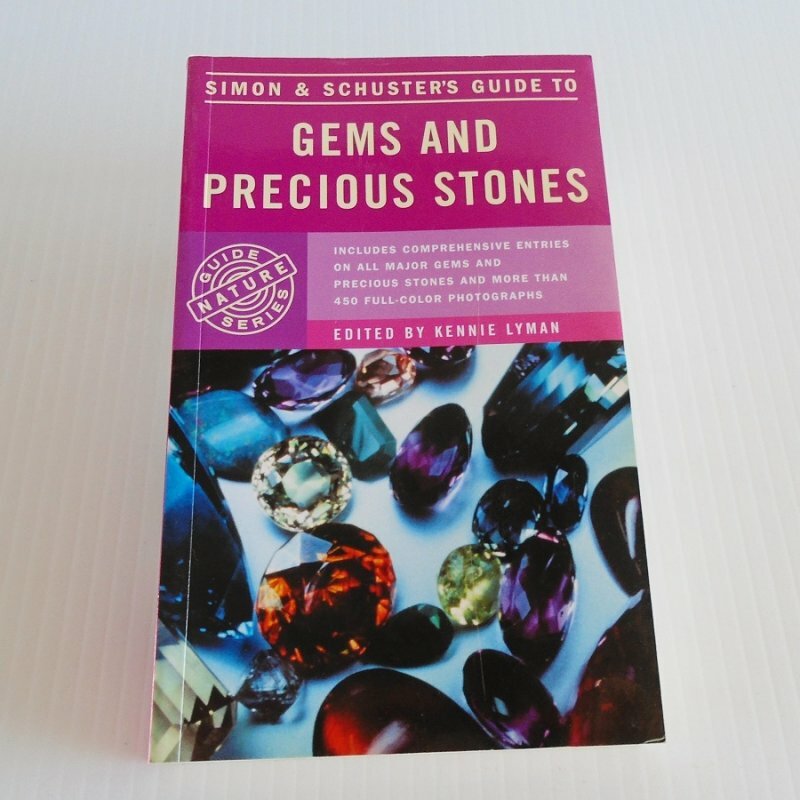 Simon & Schuster's Guide to Gems and Precious Stones provides both the connoisseur and the casual collector with a compact, easy to use volume describing more than 100 rare varieties of minerals whose beauty and mystery have possessed our imaginations from time immemorial. More than 450 brilliant photographs accompany profiles of the gems. Detailed and comprehensive, this book is essential for anyone interested in the study of gems and precious stones. The book is in excellent, 'like-new" condition with 384 pages. Buyer to pay USPS Media Mail delivery charges of $4.95. Depending on your location, Media Mail can take 4 to 10 days for delivery. If you would prefer Priority Mail for quicker delivery just let me know and I can give you a quote on that service. Delivery to Alaska, Hawaii, or American territories will have to be via Priority Mail as the postal service will not quote a delivery time for Media Mail to those locations.